The DataAxxis platform transforms Relational data to Triple Store data. It builds ontologies while it serves as a Data Dictionary for all types of data sets inside an organization. We connect to data sources, applications, and spreadsheets to generate a common homogenized meaning of the data across corporate silos. We are built to scale to 50,000+ spreadsheet conversions per month. Our API is a cloud based or deployed solution that enables firms to extract ontologies and then apply the content into various internal applications and databases. Our platform is an Ontology Management and Data Dictionary software application. The application is designed to offer clients automated ontology creation but also provides fields descriptions as normally found in a typical Data Dictionary. In addition, our application can ingest data and align it with the "best fit meaning" to assist the data steward to minimize confirmation and validation time. DataAxxis leverages advanced text analytics and cognition technologies to automate mapping of metadata to RDF-OWL Ontologies. We can create Custom Ontologies for all organizational data sets and/or align to FIBO and other industry standards. Our in-motion metadata mapping and data transformations can be mapped to any internal data dictionary or ontology enabling institutions to rapidly ingest and analyze new data terminology and fields. Ontologies provide the best form of a Data Dictionary. DataAxxis utilizes advanced text analytics and automated mapping of metadata to firm-wide common data meanings. The organization process must consider the diverse methods of tagging and aggregating data within an organization. DataAxxis provides tools to automate and normalize data from software applications, databases, and spreadsheets into common cross platform ontologies. We output normalized data headers mapped and embellished with Ontologies with Concept Associations allowing firms to use advanced semantics web enabled analytics. Most importantly, we enable firms to make their own internal data dictionary consistent, leading to better compliance and risk reporting. BCBS 239 states that financial institutions develop a capability to organize data across corporate silos, databases, and applications to ensure data integrity and reporting accuracy. Data Stewards face a daunting task of managing data quality to perform at top key performance indicators (KPI's). 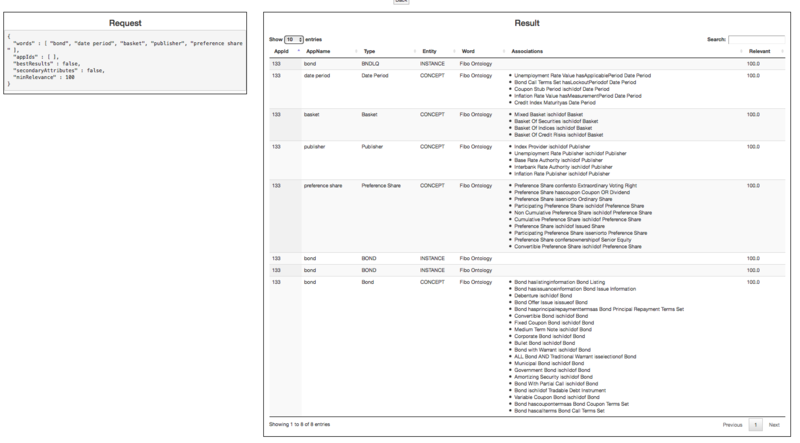 Spreadsheet headers and software application can be mapped to any internal or external data standard including FIBO. The end result is a homogenized risk data aggregation that makes analysis and reporting come complete and consistent. DataAxxis understands the issues many institutions face when aggregating and normalizing data. Our background has established substantial expertise with data vendors and data aggregation source integration. We know how to assess current state data practices through a detailed consultative process within business lines, including data lineage, data sources, and feed documentation. From there we can identify any data gaps or anomalies and document our findings. We utilize industry best practices from the EDM Council DCAM process to help firms establish a consistent data governance program.